The brand new Bednest is unfortunately not available at the moment, but the refurbished Bednest is in stock and ready to send at a great value price. Check it out here – Refurbished Bednest. The Bednest baby bassinet is the ultimate co-sleeper, both attractive and versatile, with mesh sides, and an adjustable height to ensure the perfect fit with the parent bed. The Bednest is adaptable, and can also be used as an independent bassinet or as a Moses basket. 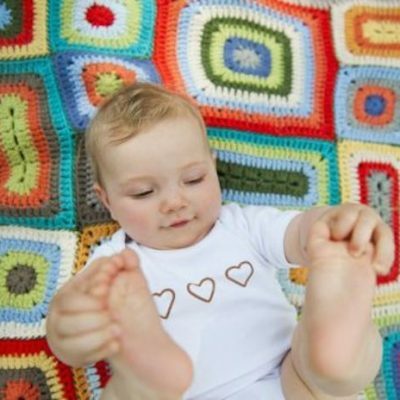 It can be tilted to assist reflux, and folds flat for travel or storage. You can also hire the Bednest from Birth Partner, or speak to us about lay-by or payment plans which can be designed to meet your needs. 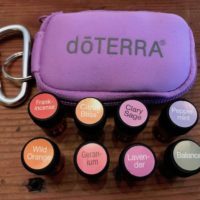 These are easy, and very flexible, with no extra cost to you. Birth Partner’s Bednest price includes FREE delivery within Sydney, and the mattress and stand are also included. Please contact us (obligation free, of course) for a quote to other areas – we always try to keep the costs down for you! 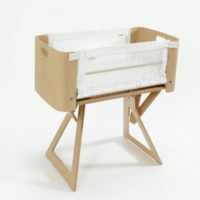 The award-winning Bednest Baby Bassinet bedside sleeper is winning hearts all over Australia, after taking Europe by storm due to its versatility, attractive design and use of sustainable materials. Research shows that a newborn baby benefits from being close to the parents in the first months, including for sleeping. For a mum, it feels so natural to keep baby close, including when you are both sleeping. However, baby must be safe from overheating and suffocation which could happen if baby shares the parents’ bed. 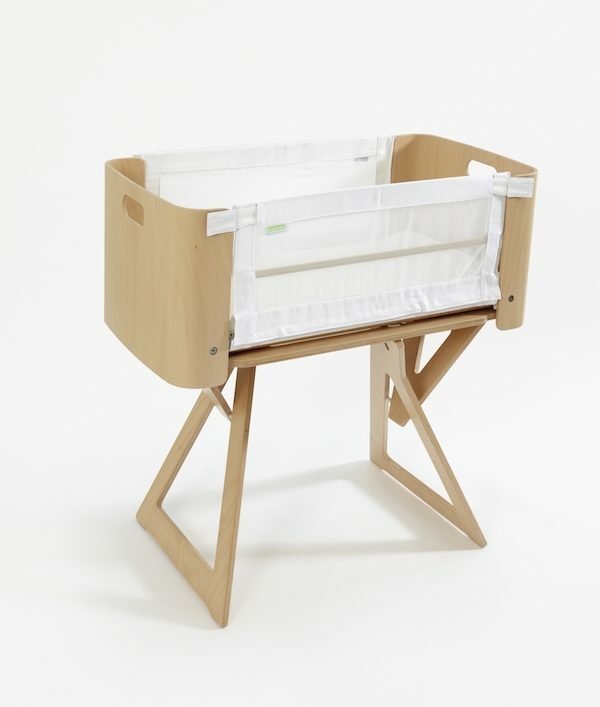 With the Bednest baby bassinet, feeding and settling can be done with the minimum of disruption to mum and bub. The UK-designed Bednest bedside bassinet secures safely to the parents’ bed, sidecar fashion, with straps, and 70 height settings ensure you will be able to get the Bednest to perfectly match the height of your adult bed. 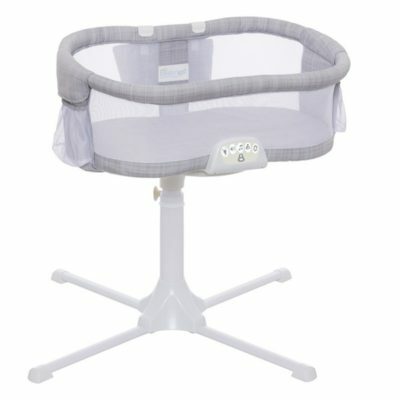 The Bednest baby bassinet can be fitted to both bed frames and ensembles. 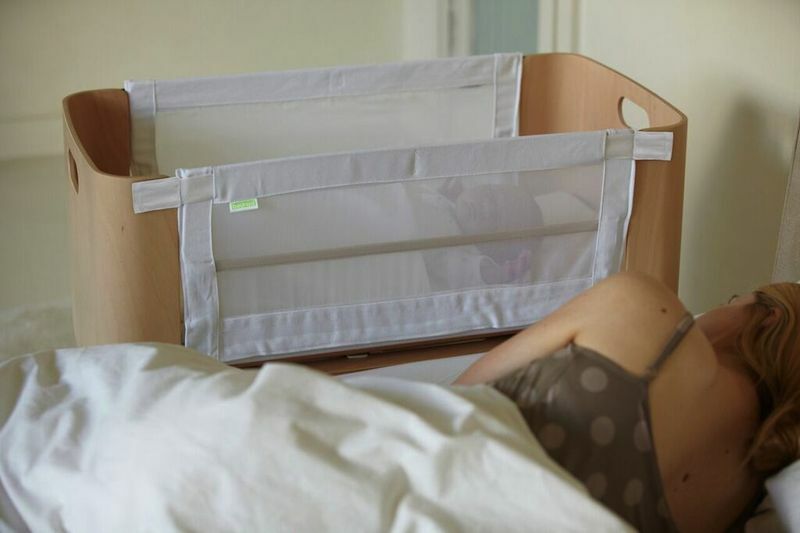 The Bednest’s unique mesh side panels can be adjusted to fully up, or down flat to suit a breastfeeding mother or a mother who is recovering from a Caesarian section. You can always see your baby, even when the sides are up, through the breathable mesh sides. 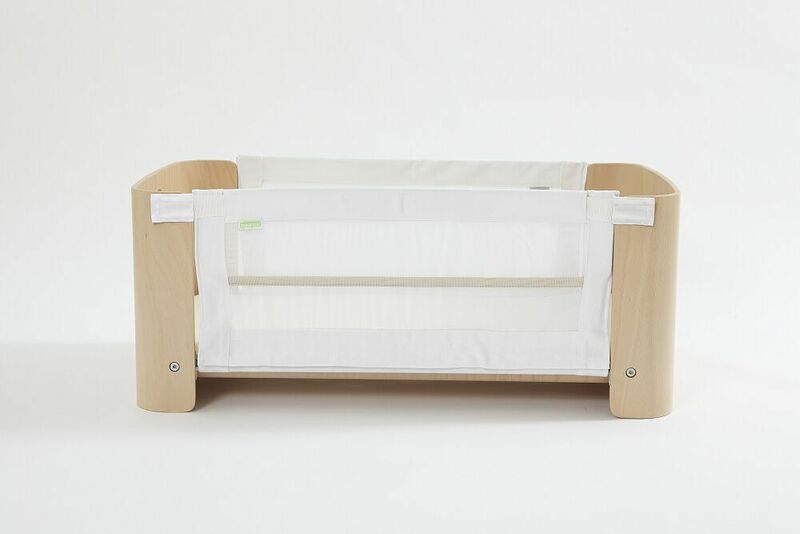 If you are awake and watching bub, you can fold the Bednest’s side panel down over your mattress, to create a a continuous flat sleep surface to your bed – this is easy for you and safe for bub. 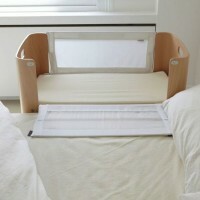 The Bednest makes a great bedside bassinet or co-sleeping bed for baby. The Bednest baby bassinet can be used as an independent, stand-alone bassinet if you do not wish to have baby right next to you as a sidecar sleeper beside your bed. 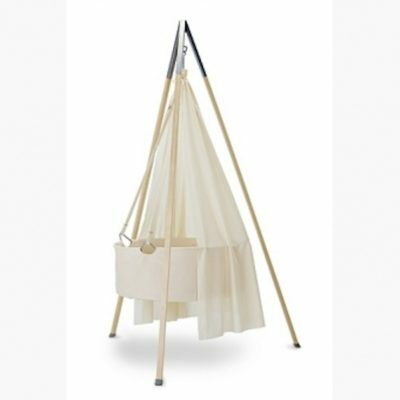 The Bednest’s stand and basket fold flat for easy storage or travel. A mattress and washable cover are included, and we have brand new mattresses available for purchase if you ever need to replace yours, or just want a spare. 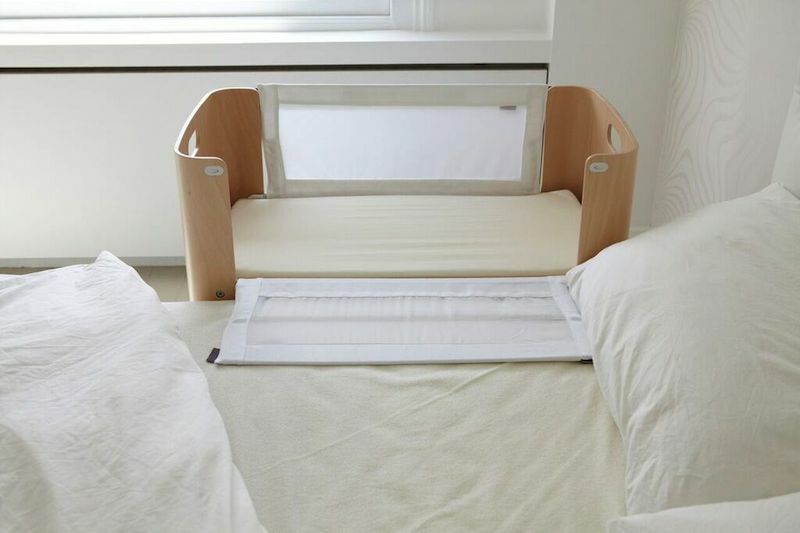 The Bednest’s height adjustable frame can be set on an angle, which can really help babies who suffer from reflux. 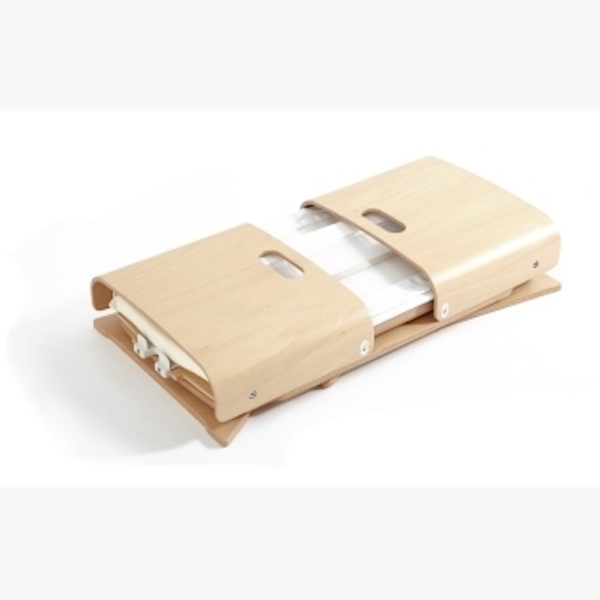 Adjustable height: 300mm – 600mm from the top of the Bednest mattress. The Bednest co-sleeper may be used with beds where the top of the mattress is as low as 30cm or as high as 66cm from the floor. 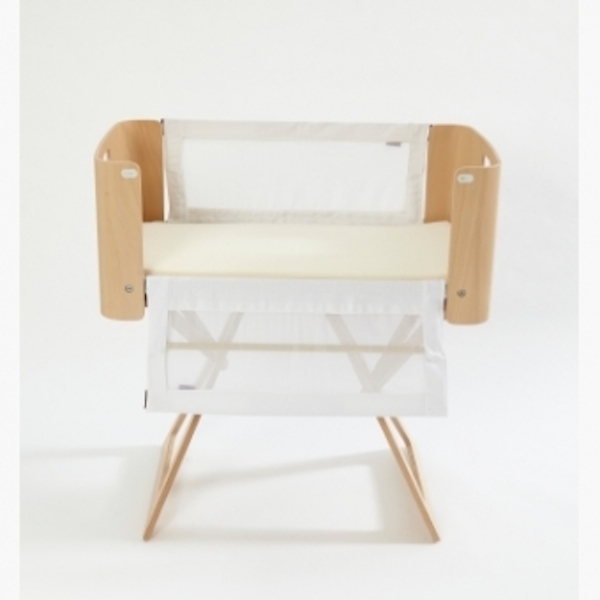 Click here for 10 reasons why you should choose the Bednest for your bassinet or co-sleeper. Includes mattress and stand, and FREE delivery to Sydney. If you live outside this area, please contact us for a delivery quote, in case you need to pay a little extra (we only pass on some of the additional cost). Please speak to us about using our lay-by option or a payment plan if this is what works best for you. We can be very flexible, so just email nicole@birthpartner.com.au or call 0402 405 889 today. Alternatively, you can take advantage of Afterpay’s interest free credit to buy now and pay later – just select Afterpay as your payment option in the checkout. You can also hire the Bednest from Birth Partner. All Bednest hire bookings include a brand new mattress, or you can select our Bednest Deluxe Hire option, and receive a brand new Bednest for hire. Want to see ideas of how your Bednest baby bassinet would look, or what to co-ordinate it with? You can see some stylish ideas on our blog post 8 Bednest Styling Ideas for Inspiration.